are made possible through PJO Insurance Brokerage! As a professional and working Scottsdale Contractor, you know that a lot of responsibility falls on you, from ensuring paperwork is accurate, the project is being worked on, and of course, that the client’s requests are being met, so having quality and affordable Contractor’s Insurance Scottsdale is a must! Risks and worry of liabilities cease with coverage, easing stress and worry of financial losses from liabilities as well as other areas. 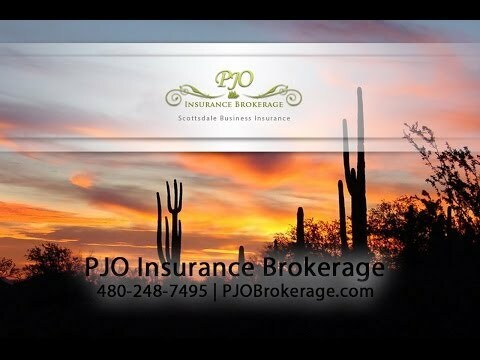 PJO Insurance Brokerage can offer Scottsdale a dependable Insurance Brokerage Company that can help protect you against liability financial losses from being uninsured! PJO Insurance Brokerage is proud to offer great and reliable coverage to Scottsdale Contractors for all license classes, with several forms of Contractor’s Insurance to promote individual and business protection! Through us you can obtain Design-Build/Professional Liability coverages to prevent liability and financial losses for potential liabilities. We also offer Work Site Protection. This is extremely beneficial for all contractors as most of their work involve safety issues and pose life and death risks, so it is important to remain insured in the event of an accident. Obviously, we know you cannot control everything that happens, however, you can take action in protecting and insuring yourself with Scottsdale Contractor’s Insurance, to be sure you are not liable for any accidents or claims, compensations of third parties, or bodily injuries. We can work with you to determine the type/s of Contractor’s Insurance you need! A great Insurance Broker like the team at PJO Insurance Brokerage can help Licensed Contractors assess exactly how much coverage they need, and help them find the right policies at one low cost, and payment! Your premium will typically vary for professions from roofing contractors, framers, masons and more! Contractors demand a level of insurance plans beyond other corporations. Their safety processes can mean life or death for their staff, which is required to be insured against the probability of a devastating accident. There can be various types of insurance packages for building contractors, including Scottsdale bonding insurance protection, which provides coverage for insurance packages on a contractor performance bond, or warranty bond. Additionally, there is workers compensation, as with other corporations, but contractors usually collaborate closely with their carriers to keep premiums under control, since it makes up such a significant percentage of payroll costs. While different trades have different premiums, it is not uncommon for tradesmen to spend 15 cents on the dollar or maybe more. For that reason, it is vital for the company with the insurance policy to keep strict safety standards, stringent oversight and constant procedural maintenance. The main workers compensation carrier for the Scottsdale Arizona area is SCF. They are the one provider of workers compensation- for the contracting industry for quite a while, but recently other insurance providers have moved into to present competitive services, and there are deals to be had if you’re prepared to work together with their broker and shop their insurance plans. Several of the trades with the largest premiums can be roofing companies, framers, masons, and electrical contractors policies. Scottsdale contractor insurance is essential especially now that the number of contractors in the workforce continue to increase. Whether you are a contractor or a business owner that employs contractors, it is important that there is existing insurance. This is useful in the event of injury that happens on the job. Contractors also need this insurance to protect themselves against claims and other legal costs that can be quite expensive depending on the case. Contact PJO Insurance Brokerage at 480-248-7495 for information on Scottsdale AZ Contractor’s Insurance to help protect yourself from liabilities!